Shadow cubes are an interesting design challenge, checking your imagination and your design skills in the 3D CAD software of your choice. 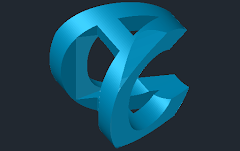 The goal is to design a 3D model, that casts three different letters as a shadow in the individual orthographic views (top, side, front - X, Y, Z). So e.g. "C" in the top view, "A" in the side view and "D" in the front view. 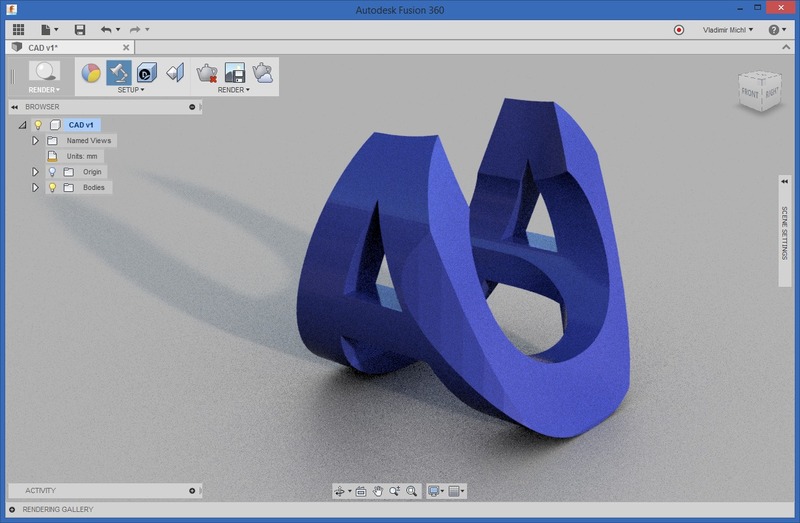 Start your Inventor, Fusion 360 or 123D Design and test yourself designing such model for an arbitrary combination of 3 letters. Be warned, some combinations are very difficult. If you dare to endanger your own Karma by an innocent cheat, you can seek help through a useful tool, the programmers CAD modeler OpenSCAD. In this application, enter the following script and generate the 3D model by pressing F6.